Ghanaian Rapper, Michael Owusu Addo, popularly known as Sarkodie, has explained why he has quit using 'to my niggas on the block' in his current songs. “I didn’t put that song out myself. It was leaked by the Possigee. You know in the studio, when creativity hit you like that, you just have to let it go as in controlling your choice of words. But yes, we now have the radio edit, and that’s the same reason I stopped saying ‘to my niggas on the block’. Radio presenters and DJs kept complaining that the word is not radio friendly, so I just have to stop saying it in my songs,” he said in a recent interview. Sarkodie is the first Ghanaian to win the BET Award for Best International Act Africa in 2012 and was nominated in 2014 and 2015. In 2010, he received many awards and nominations ranging from "Artist of the Year" to "Album of the Year" in Ghana. 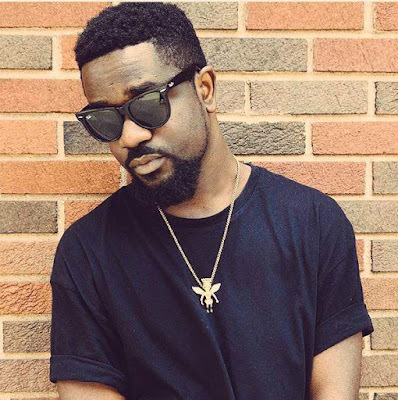 His sophomore album, Rapperholic, was the recipient of 3 Ghana Music Awards from 12 nominations.